After seeing two bloggers I closely follow, Beti of Makeup-Sessions and Steffanie of Brighter, Darling, do the Beauty Lover Tag, I felt compelled to do it myself, particularly since the questions are a bit different from the normal tag. I would love to see everyone else's answers, so if you do this (or have already done it) please send me a link! This is a tough question, but probably either Mary Greenwell (I adore every look she does on Cate Blanchett) or the goddess that is Lisa Eldridge. I've only had my makeup done by another person a few times in my life, but it's always been so fun to see how they do my makeup compared to how I normally do it. So, I'd love to have it done more often if I had the opportunity. Focus on the condition of your skin—it will make the biggest single difference in how your makeup looks. A lot of people (myself included, once upon a time) will splash out tons of cash on the latest makeup products but will be stingy on the skincare front. Really, if anything, it should be the other way around. Having a good canvas on which to apply your makeup will make a world of difference. Trust me...I speak from experience! Mascara. My eyes are quite hooded and my eye colour is very dark (dark greenish blue), so I feel like my eyes get lost if I don't bring some definition to them. In my opinion, mascara dramatically changes the appearance of my entire face and I would be lost without it. An acid toner. My skin has dramatically transformed since I discovered it responds very well to all sorts of chemical exfoliation. So now I get as much of it as I can! Acid toners, serums, masks, etc. But on a day-to-day basis I would say the toner is the aspect that I couldn't live without. I'm terrible at doing a winged liner (I blame my extremely hooded eyes, which just don't suit it no matter what technique I use). I'm also pretty bad at applying false lashes. That might improve if I practice more, but I always feel so self-conscious when I wear them and constantly worry that they're going to fall off at any moment. It would either be foundation that isn't blended along the jawline or unblended eyeshadow (I have to fight the urge to run up to them with a MAC 217!) For the most part, though, I live by the motto "you do you." If a certain makeup look makes someone happy and they feel good about how they look, who am I to judge?! The 1940s. I love the glamour—the red lips, the sculpted brows, the chic hairstyles. To be honest, I also love the current makeup era we are in! There are certain aspects of it (aka 'instagram' makeup on a day-to-day basis) that I don't love. But I do love that there are so many exciting and innovative products to try. The internet has opened up a whole world of information about makeup and techniques for applying it. And there are so many different looks being experimented with. I just can't get enough. My Tweezerman Slanted Tweezers. I don't know why this feels like a guilty pleasure to me, but I love tweezing my brows. I never get them done professionally, but instead I pluck rogue hairs that pop up overnight each morning. It's such a satisfying feeling and if I run my finger over my brow bone and feel a stray hair, I become fixated on plucking it! The Surratt Relevée Eyelash Curler. All the lash curler love seems to go towards either Shiseido or Shu Uemura, but the Surratt is life. changing. Ok, I'm being a bit hyperbolic, but not really. If you are still on the hunt for your perfect eyelash curler, try this one out. It fits my smallish hooded eyes perfectly. 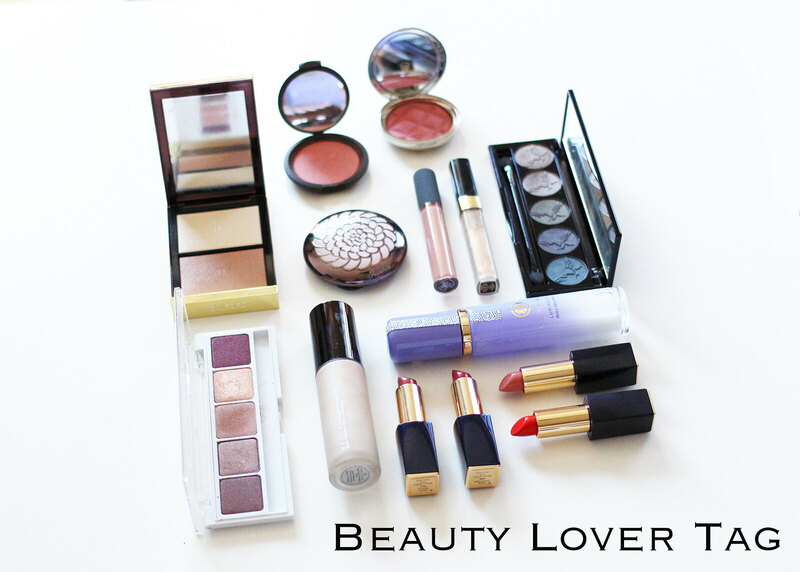 What’s your favorite makeup product of 2015? Why you gotta make me choose?! I'm going to go with an entire beauty line rather than a single product. For me, 2015 was the year that I was introduced to Colourpop. The price point is spot on (less expensive than many drugstore products) and I think the brand is very innovative. I might not be their target market (being a professional woman in her early 30s) but I nonetheless really love many of their products. Their Super Shock Shadows are amazing (the shades I <3 This, Partridge, and Gecko are my faves), as are their Crème Gel Liners. I also have some highlighters, blushes, and Lippie Stix that I love. I've just ordered some of the Ultra Satin Lips, which I'm excited to try. The one product I have avoided are their Ultra Matte Lips, as these haven't gotten the best reviews. All right, folks, that is it! I'd love to read your answers to these questions so I tag everyone.